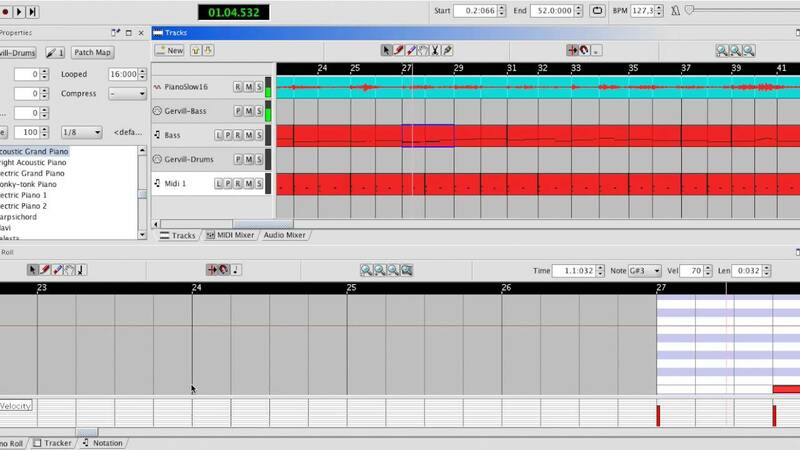 Frinika is a free, complete music workstation software for Linux, Windows, Mac OSX and other operating systems running Java. 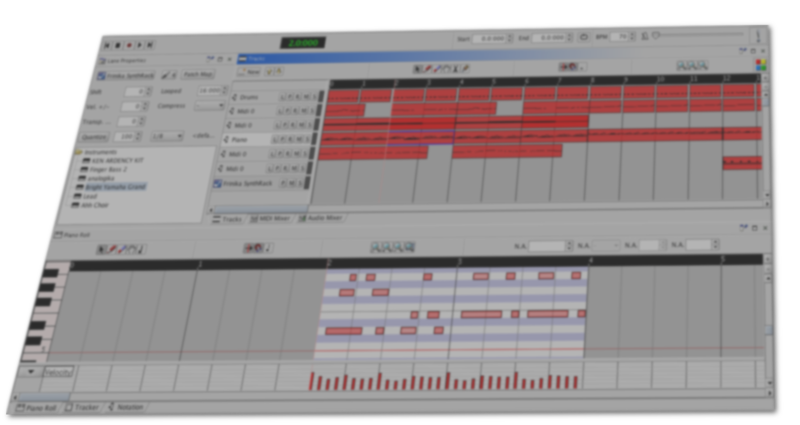 It features sequencer, soft-synths, realtime effects and audio recording. Check out the video demos/tutorials for examples of how to use and what can be created with Frinika. Here you'll find a few demos of music created with Frinika. Featured track made on the train. Frinika is lightweight and quick to get started with. A simple laptop is sufficient and you can make music when you're on the go. This track was made while commuting to work.